Last snow photo from today. I took this before I went up and shot that stuff for work. 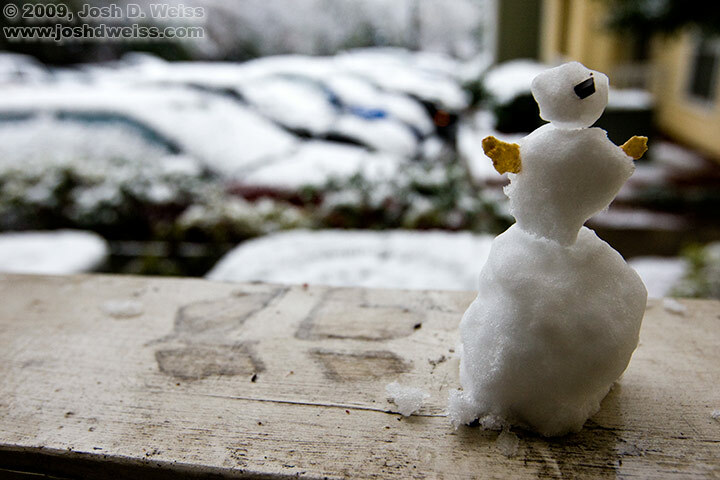 I didn’t want to hog the snow, so I made a personal sized snowman and used some of my roommates cereal (with his permission) to give him personality. Posted in My LifeTagged atlanta, briarhill apartments, georgia, snowBookmark the permalink.